I love this bedroom of Ben Brougham, seen on The House That Lars Built. (She got it from elsewhere, but you can go to her site if you want all the details). 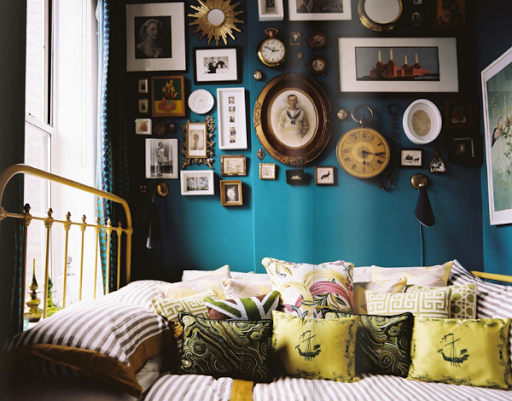 Oh boy do I love teal and yellow with gold details. How wonderful is that mustard metal bed frame? < Previous Furniture makeover inspiration. Next > Baby Beans Rudy.